we run this webshop and equestrian shop for dressage. Our ambition is to offer solid expertise and the market's best products for riding, focusing mainly on dressage. The store has been around since 1993 and as a combined webshop since 2003. Eva Perninge, who started and still runs the equestrian shop, is herself a dedicated dressage rider at a high level. Eva has, throughout her life, around the clock, engaged in horses, dressage and entrepreneurship. Eva's long experience as a competition rider, groom, facility manager, breeder, competition director and trainer has given her great knowledge about which equipment both riders and horses need. 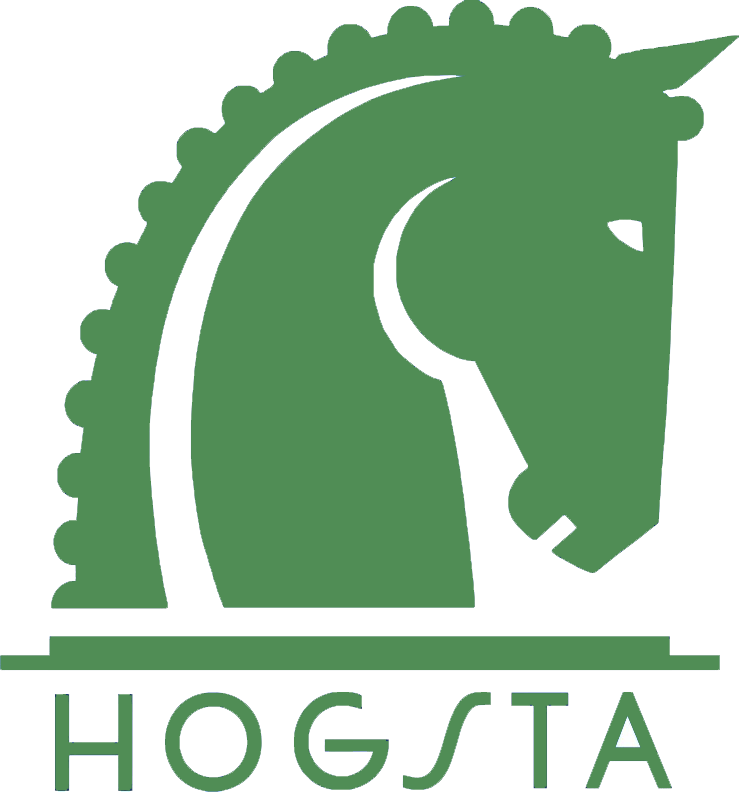 A fundamental objective of Hogsta Ridsport is to always focus on good quality and long-term thinking in every detail, which is also reflected in the products and brands for horses and riders that you find at Hogsta Ridsport. In some areas, we feel that we have extra good skills and interest, and it is custom-made riding boots, riding helmets, bits and feed supplements. These are things that contribute to our ability to care and perform. Doesn't it go hand in hand? In order to achieve a good result in whatever we do with our horse, both you and the horse need the best conditions. Our ambition is to offer our customers unique expertise and service together with a complete range of the best products available on the market for us who like dressage. You will find brands for riders who keep what they promise, good quality at reasonable prices. You also often find a cheaper alternative for those who do not like to invest too much of their budget but still like good products. If you want to keep up to date with what is happening in the store and on the equestrian center, you will find us on Facebook and Instagram. If you want to receive tips on news and offers, you can register for our newsletter.